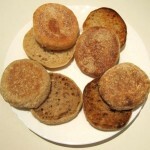 Another version of a delicious low carb breakfast bread! Let dough rise in a warm oven for two hours. Knead dough and divide into four equal portions. 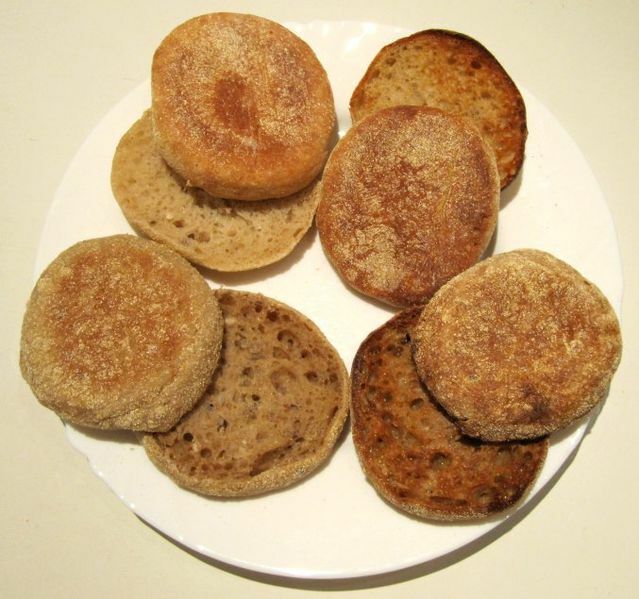 Shape into desired shape, or use English Muffin Rings. Fry in a slightly oiled pan on low heat until done, about 10 minutes each side.